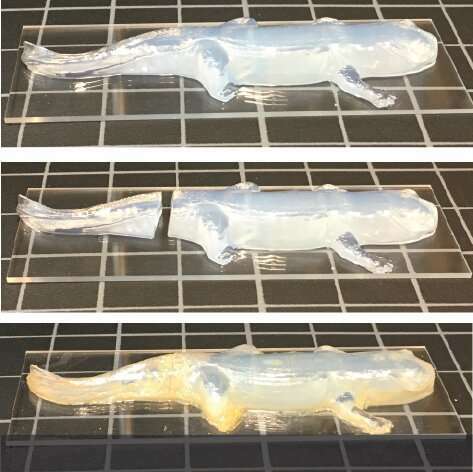 The components, which are patterned by a 3-D printer, are capable of bending, twisting or sticking together in response to treatment with certain chemicals. For a paper published in the journal Polymer Chemistry, the researchers demonstrated a soft gripper capable of actuating on demand to pick up small objects. 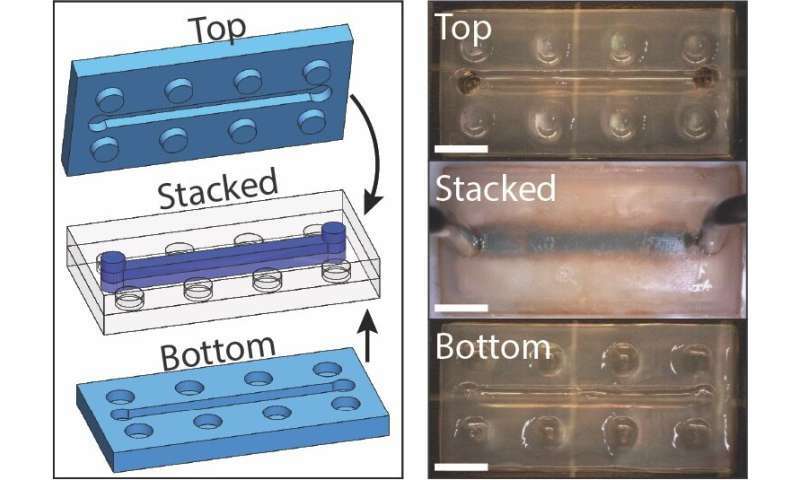 They also designed LEGO-like hydrogel building blocks that can be carefully assembled then tightly sealed together to form customized microfluidic devices—"lab-on-a-chip" systems used for drug screening, cell cultures and other applications. But this new material—and the LEGO block concept it enables—offers a potential solution. The 3-D printing process allows complex microfluidic architectures to be incorporated into each block. Those blocks can then be assembled using a socket configuration much like that of real LEGO blocks. Adding ions to the assembled blocks makes a water-tight seal.